Panorama Education, after recently adding social-emotional learning (SEL) reports to its platform, today launched an all new platform dedicated to SEL. The Panorama Student Success platform was developed in partnership with school and district administrators, according to the company. The cloud-based platform helps educators bring together academic and non-academic data in real-time, helping them identify students in need of more support with academics, attendance, behavior and SEL. The platform targets interventions and evaluates the impact of these interventions over time. 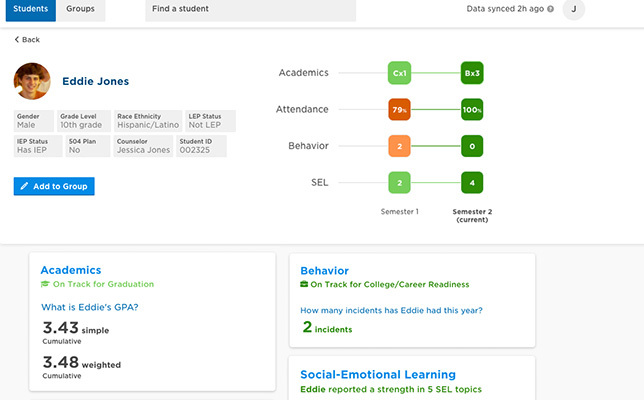 Users can access tools that “monitor groups and individual students, tracking who is thriving, which students are on track for graduation and college/career readiness, and those who may be at risk,” according to the company announcement. For example, a teacher can see an at-a-glance view of a particular student’s academics, attendance, behavior and SEL data for the week. Waltham Public Schools (WPS) in Massachusetts is currently using Panorama Student Success to manage a diverse population of more than 1,600 students. A video case study of Waltham Public Schools is available here. To learn more, visit the Panorama Education site.